Pager Power was engaged to assess the impact of the Holy Isle Wind Development, a six-turbine scheme located on Holy Isle in Scotland. Specifically, the engagement was to assess the potential impact of the three southern wind turbines upon the Primary Surveillance Radar (PSR) at Glasgow Prestwick Airport (GPA), following an initial objection. 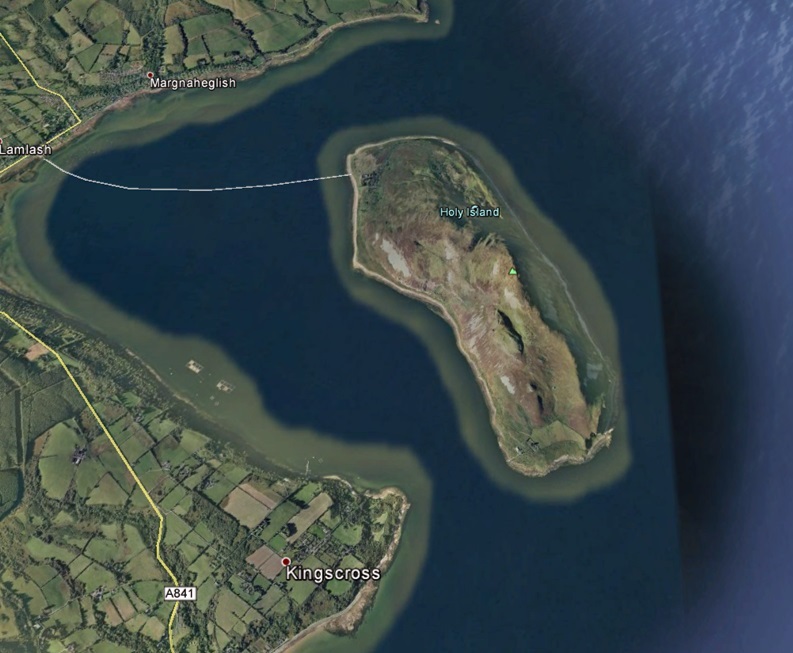 Figure 1 shows an aerial image of Holy Isle. 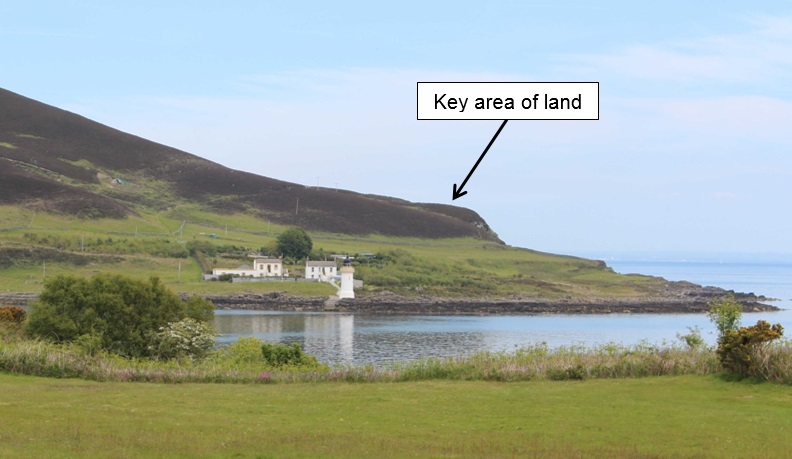 The following case study presents an overview of the project, the problems encountered and the analysis, which lead to planning permission of the Holy Isle Wind development. 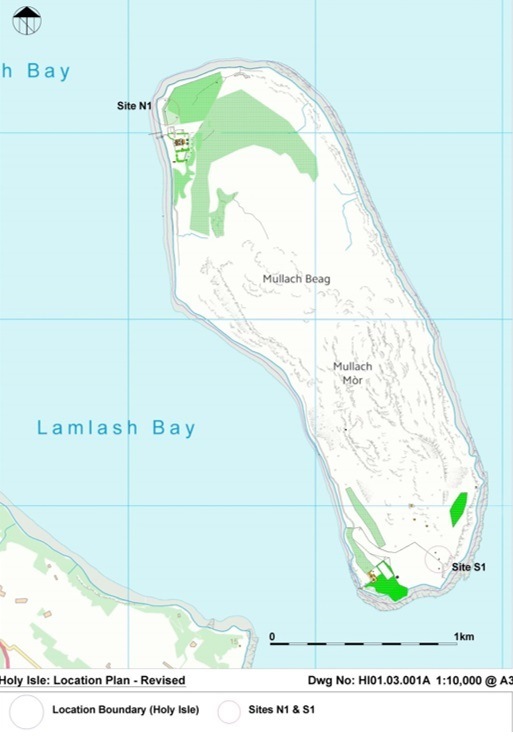 The initial proposal for the Holy Isle Wind Development consisted of six wind turbines, three to the north west and three to the south of the island. The height of each wind turbine was 20.2 metres to tip. The original location of the proposed wind turbines can be seen in Figure 2. The objection to three southern proposed wind turbines lead to the engagement of Pager Power to identify possible ways forward for the wind development. 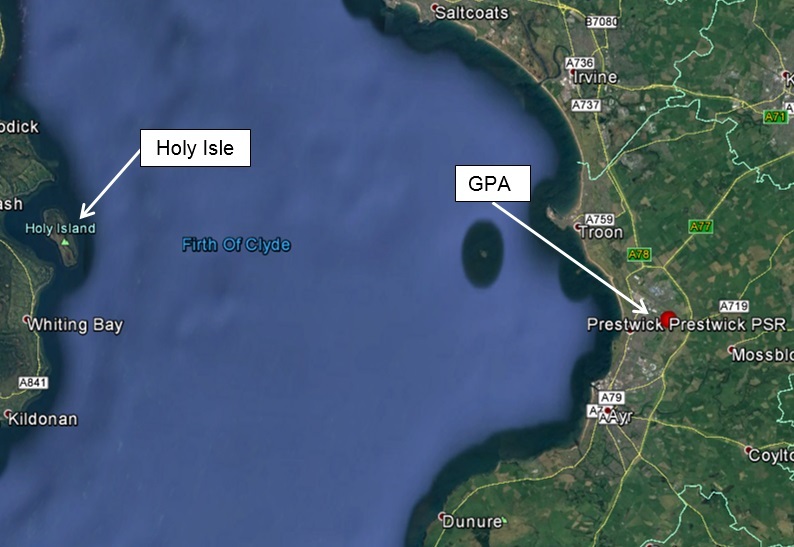 The relative location of Holy Isle to GPA is shown in Figure 3. The initial study investigated the radar detectability of the three proposed southern wind turbines. This showed that the three wind turbines, measuring 20.2 metres to tip, would be ‘likely’ to be detectable to the PSR at GPA. For the second study, a greater number of southern wind turbines in different locations were assessed, each with a smaller tip height of 12.2 metres. The analysis again revealed that all of the wind turbines would be visible to the PSR by varying margins. This time the Radar Detectability Analysis revealed that the wind turbines would be ‘unlikely’ and ‘highly unlikely’ to be detectable to the PSR. Following this, it was identified that the typical terrain databases may not accurately account for a key area of raised terrain to the south west of the island that may provide screening from the PSR. This area is shown in Figure 4 below. Therefore, a terrain survey was completed to gain accurate height measurements. Accurate heights were vital in establishing whether the wind turbines may indeed be visible to the PSR. A terrain survey was completed to gain accurate terrain height of the landscape feature that rises to the east of the proposed wind turbine locations. The survey data was then fed back into the analysis for two newly proposed wind turbine locations with a maximum tip height of 20.2 metres. The analysis showed that the wind turbines would be very marginally visible to the PSR, by 0.6 and 0.3 metres respectively. The Radar Detectability Analysis was then re-calculated and this time it showed that the proposed two turbine would be ‘highly unlikely’ to be detectable to the PSR. The terrain survey and resultant report update for the two new wind turbine locations was subsequently submitted to GPA for their review. GPA reviewed the report and accepted that there would be no significant impact upon the PSR and they subsequently removed their objection. The planning application for the Holy Isle Wind Development was then submitted in July 2016 and subsequently gained planning permission. Construction of the wind development is due to start in early 2017. Six turbines, subsequently reduced to five. Source: Data SIO, NOAA, U.S. Navy, NGA, GEBCO. © 2016 Google. Image © 2016 Getmapping plc. Edited, only specific information pertaining to the objection included.